3rd Floor, Tanna Towers, Near Nal Stop Chowk, Law College Road, 45/3, Erandawane, Pune - 411004, Maharastra, India. 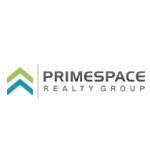 Primespace Realty Group is a reputed firm in the Realty Industry. Known for creating landmark projects, this firm has a carved a niche for itself. Building on the strength of professionalism, integrity and transparency, the Company has come a long way since its inception. Constantly evolving to keep at par with international standards, they update themselves with modern trends and technology. Primespace Realty Group understands the preferences and requirements of modern home seekers and strives hard to incorporate them in the projects undertaken so as to achieve customer satisfaction always. With an aim to offer its customers an enhanced lifestyle, Primespace Realty Group is set to achieve new milestones in the Realty Sector.